﻿ How to Prepare a Fly Fishing Trip in Kamchatka? How to Prepare a Fly Fishing Trip in Kamchatka? Kamchatka is a peninsula located to the far East of Russia, at the south of Siberia, close to Alaska’s west coast. This place is a world famous place for anglers, and its legend is made because of an abundant rate of trout, salmon and char. 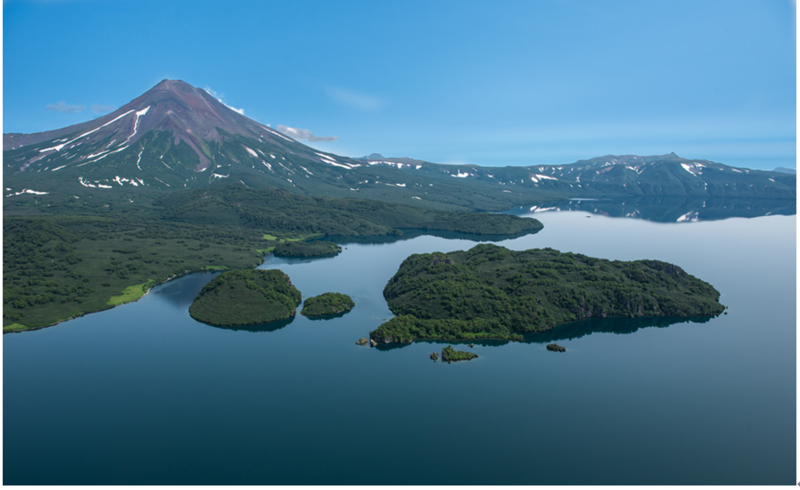 With more than 150 volcanoes, and the famous Volcanoes of Kamchatka (a group of 19 volcanoes), known as the “land of fire and ice”, you can find here 100 000 lakes and rivers, all containing fish. 1. How is the environment ? Kamchatka is similar to the environment of Alaska...rude. The weather is similar as the landscape, you can find similar species of animals and plants. Kamchatka is not an easy place to live, many trips that you can find are requiring a good health and a minimum of physical shape with enough energy, Kamchatka is definitely not for everyone, the men didn’t affect the environment here the nature is still wild. Kamchatka could be rude but when you will see all those trout jumping on your flies, you will definitely not regret it and will obtain memories for life. *The Sedanka river is one of the most famous creek in Kamchatka, you can fly fish for 5 species of Pacific Salmon, Rainbow trout, Dolly Varden and Kundzha. You can find 3 base camps along the river. *The Savan river is a dream place full of heavy trouts, easily floated, mountains and volcanoes side the wide valley. This river constitute 70 miles of pure happiness, fish easily take streamers across the current, and like a lot of rivers in Kamchatka,with a mouse pattern you will also get a lot of aggressive takes. There is a camp host and cook that float along to assist. The Zhupanova river, through a valley of volcanoes and snow capped mountains, you can find here an abundant wildlife, the Zhupanova is well known to be the home of massive rainbow trout, here again big mouse patterns. The super kundzha is more rare but they appear from early August through October. The Zendzur Lodge commands 50 miles of water. 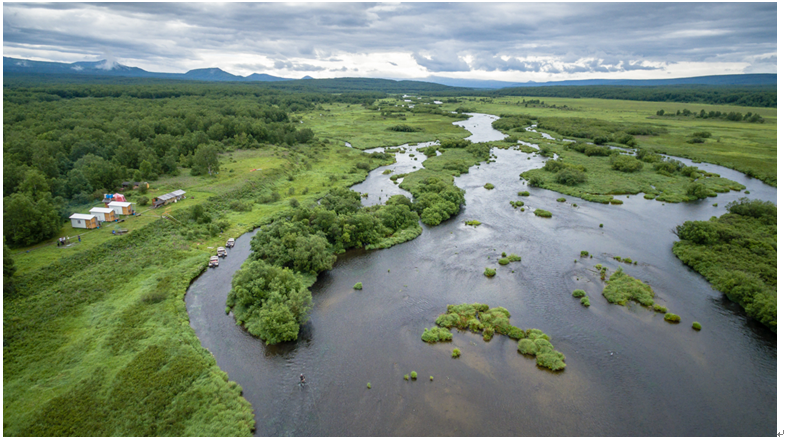 *The Ichanga river, ideal for float trips Ichanga river is a small river, it’s complicated to have an access to this river and it’s important to protect the trouts there cause there is less trout habitat than the others river like Savan, Sedanka or Zhupanova. Of course this list is just an indication, Kamchatka is full of surprises, many spots are unknown and full of fish, smaller creeks are also a good plan, but the best advice that we can provide for you it’s to join a base camp with an experienced guide, then you’ll learn about this fly fishing paradise and enjoy your adventure like never before. Prev: How to Choose a Bamboo Fly Fishing Rod?